Carry over 500 songs without carrying your phone. That’s 3GB of music wrapped around your wrist so you can listen to your favorite playlists straight from you watch. 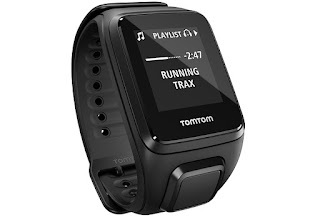 TomTom (TOM2) launches the all new TomTom Spark, its GPS Fitness Watch featuring on-board music and Bluetooth® connectivity to help fitness enthusiasts at any level get motivated, achieve their best and track their progress – all from one easy-to-use, wearable device. With TomTom Spark, users can listen to their favorite music mixes while tracking their steps, miles and calories burned and monitoring their heart rate for an optimal workout – leaving behind their cellphone and single-minded fitness trackers. With 3GB of on-board music storage, the TomTom Spark holds up to 500 songs* in playlists that can be easily transferred from iTunes® or Windows Media® Player. 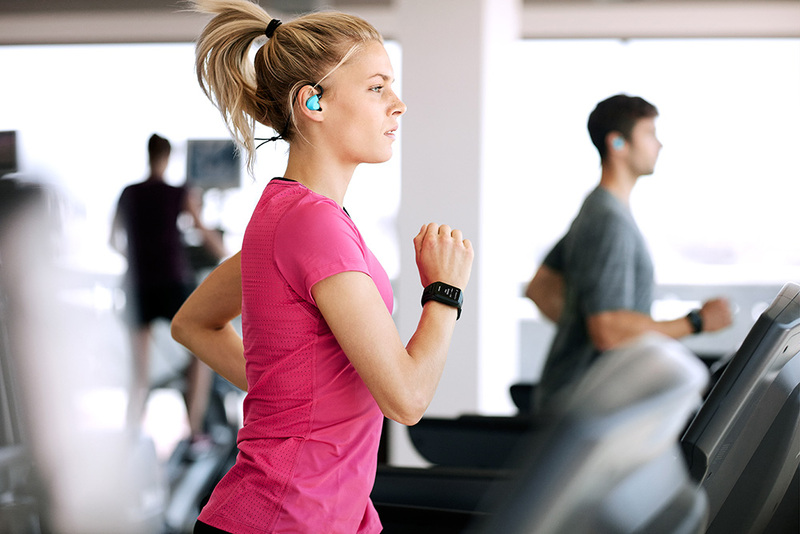 Wireless Bluetooth® headphones enable users to cut-the-cord to intrusive and cumbersome wires while listening to music and getting real-time progress updates from the voice coach. TomTom Spark is the latest in the complete line of TomTom wearable fitness technologies. The 24⁄7 activity tracker continuously logs steps, active minutes, distance, calories burned and sleep duration. TomTom GPS tracking provides real-time information including time, distance, speed and pace. The built-in heart rate monitor accurately tracks heart rate, without the need for a chest strap. Multiple sports modes let users track their activity inside and out, across running, cycling, swimming, treadmill and gym workouts. Users can upload and review their stats wirelessly via the MySports app to multiple platforms including TomTom MySports, RunKeeper, Nike+ and more. With the release of Spark, TomTom has also redesigned its MySports app with a new, more intuitive user dashboard to manage music, access progress reports, set and monitor training goals and get the most out of the Spark experience. TomTom Spark Cardio + Music GPS Fitness Watch will be available for pre-order on October 1 on www.tomtom.com/fitness and costs $249. The full range will be available for purchase on October 15 at www.tomtom.com and other national retail outlets. More information can be found here: www.tomtom.com/fitness. At TomTom (TOM2) our mission is to make technology so easy to use, that everyone can achieve more. We created easy to use navigation devices, helping millions of people to get where they want to be. Today, we continue to simplify the complex, making technology more accessible for everyone. We serve four different markets: Consumer, Telematics, Automotive and Licensing. We make it easy to use navigation devices, sport watches and action cameras for consumers. We enable businesses with vehicles to more easily manage and improve fleet efficiency while increasing overall business performance with our Telematics solutions. We also offer a world leading real-time map platform that is powering innovative location based services and helping to make automated driving a reality for the automotive industry. Founded in 1991 and headquartered in Amsterdam, we have over 4,200 employees worldwide and sell our products in over 46 countries. 0 comments on "TomTom Spark Cardio + Music GPS Fitness Watch to be available in October 2015"